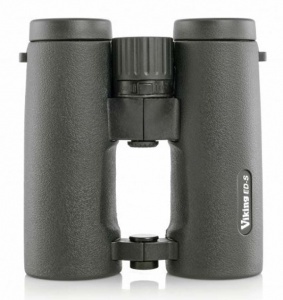 The Viking ED-S 8x42 binoculars deliver one of the brightest, sharpest images on the market today. They feature extra low dispersion glass (ED) to ensure maximum light transmission when viewing in varying light conditions. They manage to encompass the finest balance between innovation, functionality and design, creating a truly fantastic viewing experience. The binoculars are 100% waterproof (field tested) and are nitrogen gas purged which prevents any level of internal fogging, making them excellent performers in damp or wet conditions.